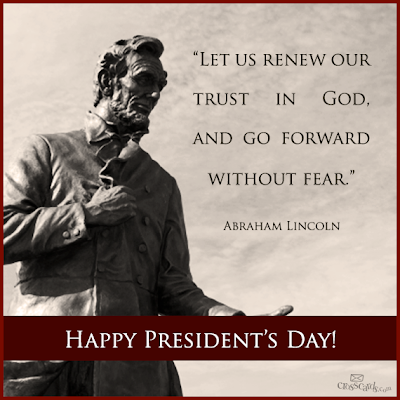 In keeping with the President's Day theme, today I'm going to blog about our 16th president, Abraham Lincoln. He was president at a very difficult time in our nation's history, & was both loved & hated by different factions. I'm going to try & have Lincoln tell his story through his own words. Welcome back to "memory lane". 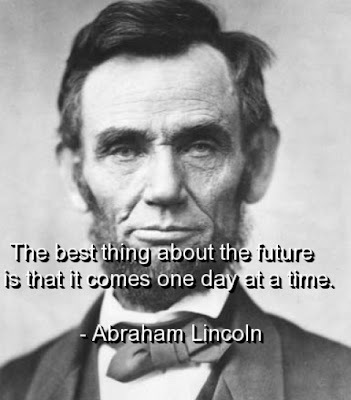 Lincoln knew the secret of living "One Day at a Time". 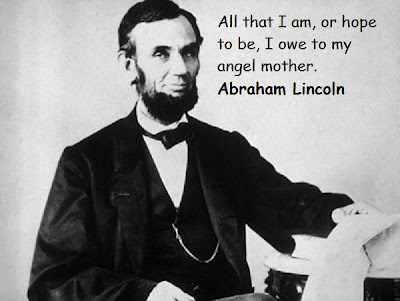 Lincoln had many obstacles to overcome growing up, but persevered through all of them, allowing them to mold him into a stronger person of character. 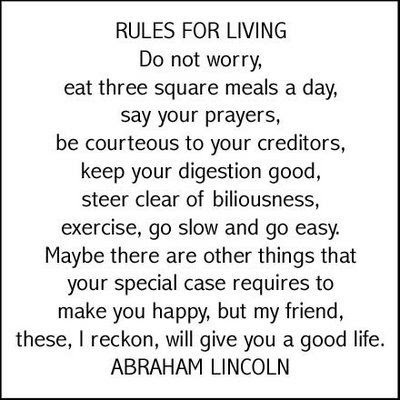 Lincoln was very practical & simple in his approach! 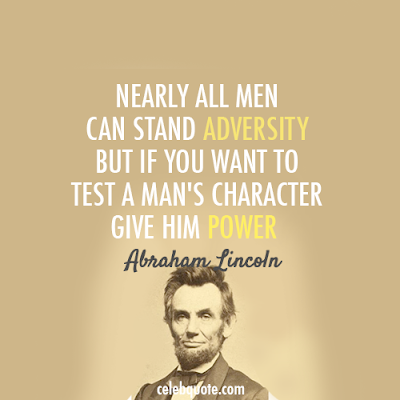 Lincoln knew what "absolute power" could do to a man! slavery & state's rights. This was truly a time that tried men's souls. 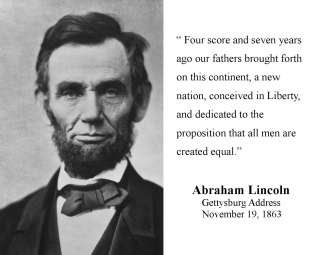 Lincoln stood firm on his convictions that All Men are Created Equal! Ewe know that it comes down to how Ewe look at things ! 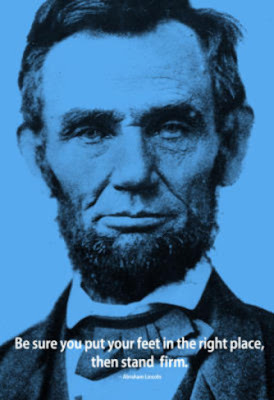 The Civil War weighed heavily upon Lincoln. The Battle of Gettysburg was really difficult & he traveled to Gettysburg to speak. On the way there, he scribbled his thoughts down , which later became known as the famous Gettysburg Address. In a speech a little over 2 minutes, Lincoln capsulized the struggle! Unity is critical for a nation to move forward & accomplish great things! 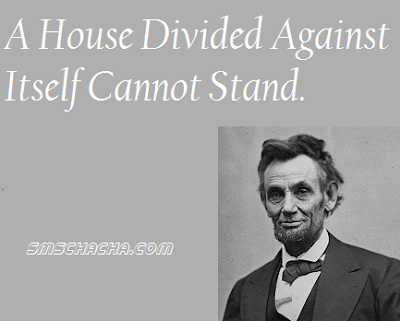 Lincoln had his belief system indelibly etched in his speeches. When he was running for office & while in office, he looked to God & the Bible for guidance. "Whatever you do, do all to the glory of God!" He seemed to know that "perfect love casts out all fear"! "Honor your father & your mother." The following quotes, taken from Lincoln's life, give further evidence of his reliance on the Sovereign God of the Scriptures. 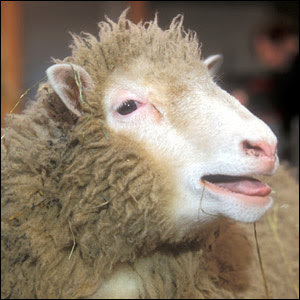 Sheep are similar to Lincoln , in that they are subject to many trials in their lifetime. 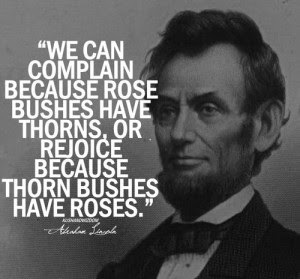 Fortunately, they have discovered, as did Lincoln, that they have a Shepherd to go to. When life gives Ewe lemons, make Lemonade! As we look back into our history, it's nice to see God's hand upon our leaders , especially during times with the most difficult of circumstances! Try to remember that as Ewe face the troubles that the day may inevitably bring.